Number five was number one! Now where's the PC version? With a huge 24-hour sale and its continual sky rocketing numbers days afterward, of course Grand Theft Auto V is the best-selling game of 2013. 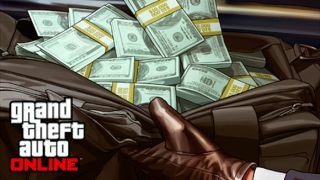 Game publisher Take-Two Initiative outed this little fact during its financial release call, while also revealing that 32.5 million GTA V games have been sold. All we need now is the PC version to finally pop up and really push the numbers up there (cue laughter here). Our blips are pretty darn noteworthy too.